What are Realities of PR? For more than 8 years I have been working hard to get my small business clients on TV, on the radio, in newspapers, magazines and mentioned in blogs. They’ve learned the early bird gets the worm, buying an ad doesn’t guarantee a story and that patience pays off….plus many other lessons during our adventures in publicity. Are you interested in getting PR for your business or product or service? 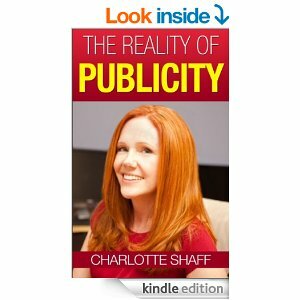 If you want to garner exposure in the media, take a gander at my ebook that shares 25 Tips on the Realities of PR. From what to expect to the unexpected, I offer easy to understand advice that you can read in just a few minutes. Got questions about one of my points? Ask here! This entry was posted in blog and tagged advertising, AZ, blogs, how to get pr, how to get publicity, i want to be on tv, journalists, magazines, media relations, phoenix, pr, public relations, radio, the media, tv. Bookmark the permalink.